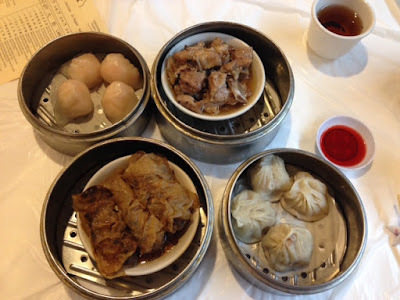 On the rare occasion that I have dim sum craving. We decided to try something new. 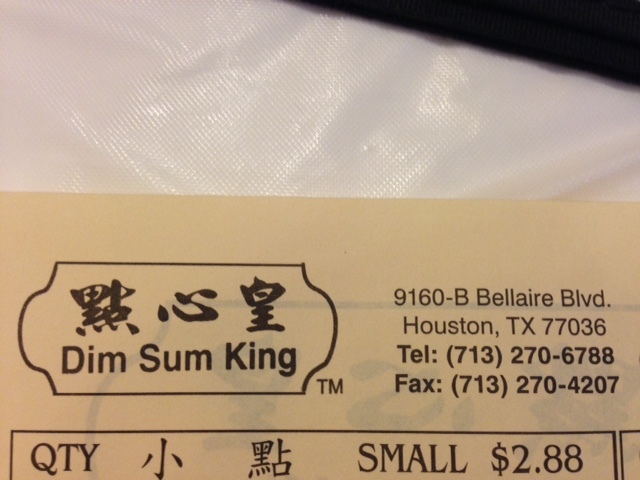 Dim Sum King is in a corner next to Welcome Supermarket in Bellaire. Turnip Cake, enough turnip instead of flour. Top: Thousand Layer Cake, nice and fluffy like I remember them as a kid. Rice Noodle with dried shrimp. That was not like how I had them as a kid. The ones we had were mixed into the rice noodle mixture and were steamed together, as opposed to added on later in the process, you can tell the difference. We came in a good time, by the time we ordered, the place was packed. Of course, dim sum crowd gets up later, though traditionally they have early tea in Asia, not so much here. That said, the food is made from an authentic chef expert in dim sum, just styling a bit different. Did they knock it out of the park? No, but they're not half bad. I do love the Thousand Layer cake a lot, none I've had in town was done well like they did. The rest of the dishes are compable.